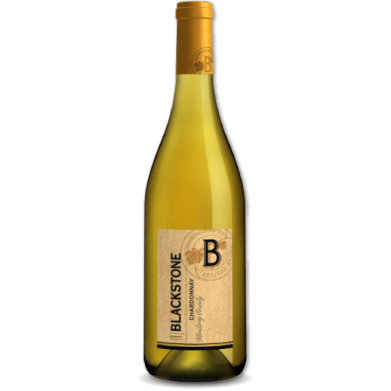 BLACKSTONE CHARDONNAY for only $8.98 in online liquor store. Our Chardonnay shows luscious peach and lemon flavors with floral notes and toasted vanilla aromas. Chardonnay is America's most popular wine, red or white, and is the most widely planted white grape varietal in California. Chardonnay is grown in every major winegrowing region in the world but thrives as the white grape of Burgundy and also produces extraordinary wines in the cool climates of California.